More than two years into a peace process, Colombia’s transitional justice system is finally set to begin its search for 80,000 people who disappeared during the armed conflict. But with a major budget deficiency. The Unit for the Search of Disappeared Persons (UBPD) will be sending out its first search units to find the remains of some 126,000 people who were forcibly disappeared during the conflict or never returned after being kidnapped. Who cares that more than 80,000 families in Colombia are searching for their missing loved ones? Despite the mammoth task lying ahead, Colombia’s Finance Ministry underfunded the unit that, according to director Luz Marina Monzon is now $15 million short. Consequently, Monzon can only hire 153 prosecutors while she had calculated the necessity of more than 260. Without extra investment, of which much comes from international sponsors already, the UBPD cannot do its job, the director told newspaper El Espectador. For example, the identification of corpses will be done by the Medical Examiner’s Office. In the places where we look for these people there is no office of this entity, so we must transport the bodies to the cities. This needs investment. The UBPD is one of the three components of the peace process, along with the war crimes tribunal and the truth commission; all bodies that are trying to find out what happened during the country’s half-a-century armed conflict and try those responsible for war crimes have complained the government is failing to provide the necessary funds. Starting in May, the UBPD will begin to look for and possibly exhume mass graves in Barranquilla, Cucuta, Barrancabermeja, Villavicencio, San Jose del Guaviare, Puerto Asis, Cali, Rionegro, Apartado, and Sincelejo. Next year, the prosecutors will be looking into the possible locations of the remains of missing persons in the municipalities of Florencia, Yopal, Monteria, Arauca, Quibdo, Ibague and Bogota. 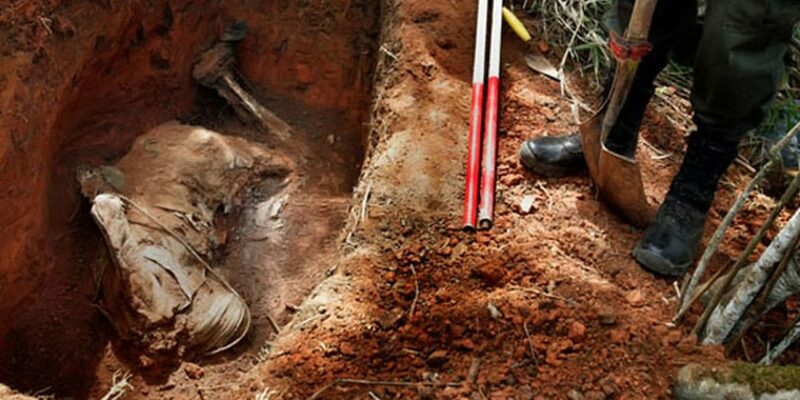 Over the past months, the unit has also designed a pilot study, to be implemented in the Nariño and Norte de Santander provinces, to identify some 25,000 human remains that authorities so far have failed to identify. The reduced teams and budgets will add even more pressure to the teams, who will be facing grave security threats in some of the regions where armed groups remain the primary authority and may have an interest in making sure that the armed conflict victims who are presumed dead remain missing.